I discovered a great BBC gardening series on YouTube (uploaded by MrGrizzerBear) that I never heard of before called How to be a Gardener. I haven’t watched all the episodes, but I really like the first one I saw which was Episode 7 “The Productive Garden“. It showed vegetable gardening throughout the year. I created a playlist with the eight episodes so I can find them easily. I was searching Vimeo for quilting videos and happen to stumble upon Jimmy McBride, a really talented quilter, in the Etsy.tv’s video “Handmade Portraits: StellarQuilts“. I followed a link to his Etsy shop, stellarquilts, and found some pretty amazing quilts. I then followed a link to his blog, Intergalactic Transport, and read some of his entries about how he made these space-inspired quilts. I love how he uses old shirts from thrift stores and it looks like he paper-pieced most of the quilt. That’s one thing I really want to learn. A few weeks I discovered a new Canon EOS DSLR—the Canon EOS 60D—with an articulating screen, which I’ve been waiting for!!! It was rumored back in January 2010, and was released in late August, but I just hear about it a few weeks ago (where have I been?). Screenshot taken from Canon’s site. I went to Best Buy to check it out and it is much bigger than my existing Canon Rebel XSi… I was hoping Canon would have a Rebel with an articulating screen, but I guess they never did release one. After seeing the 60D I wanted to get it, but I didn’t want to make an impulse buy. So I’ve been doing research and reading reviews and I decided that I’m going for it… I ordered some Amazon Gift Cards from Wells Fargo Gift Card Mall (so I’ll get 3x the points) to cover the cost and I’m just waiting for those in the mail to place my Amazon order. On a side note. As I was looking for Tamron 28-75mm f/2.8 reviews on YouTube, I discovered a photographer’s channel that has a lot of good tips. Check out Dom Bower’s Channel and Dom Bower Photo’s Channel on YouTube. He also has a blog. 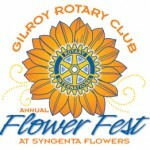 One of my coworkers told me about a big annual flower sale that she’s been to in Gilroy. She described it as masses of flowers for sale, with people grabbing plants like crazy. The plants are probably the trail plants that they use to test the seeds… I did some searching online and found information about it. I think I’ll make make a day of this and take my Mom, then maybe visit my relatives in Santa Clara… It’ll be cool to see all the flowers and plants. ☉ Goldsmith Seeds’ Did You Know?